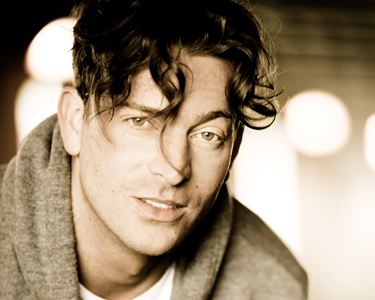 Levi Kreis is one of the most honest communicators you will find. He executes his craft with profound vulnerability, a soulfulness that leaves you feeling as though you’ve experienced something deeply personal. In every area of his expertise, Kreis has been awarded for his commitment to the highest quality of entertainment. However, what people value most about Levi is how he makes them feel. To Kreis, art is a real life conversation that is healing as much as it is entertaining. Other notable stage credits include the Tony nominated revival of Violet starring Sutton Foster, Smokey Joe’s Cafe, and the national tour of Rent. Kreis’ interest in new works has drawn him to a few theatrical developments such as One Red Flower with Emmy Award Winning director Paris Barclay and Mozart L ’Opéra Rock with Tony nominated director Lonny Price. These works have appeared at The Kennedy Center, The Village Theater, The Goodman Theater, and the North Shore Music Theater. Surprisingly, acting was never Levi’s primary pursuit. Kreis is a singer-songwriter whose piano-pop recordings have been featured in key moments on network television shows including The Vampire Diaries, Sons of Anarchy, So You Think You Can Dance, Mob Wives, The Apprentice, Days Of Our Lives, Young And The Restless, and several films. With four albums to date and a 2009 OutMusic Award for “Stained Glass Window”, the theme song for the Del Shores film Southern Baptist Sissies, Kreis has built a humble but loyal following that continues to expand the reach of his own label imprint Vision 9 Records. Levi is currently writing his 5th album and developing a stage show to accompany the new release. In the beginning, a 6 year old Levi came home from kindergarten graduation after hearing Pomp & Circumstance and started playing it by ear on the piano with both hands. Soon Kreis was writing his own original classical compositions. His mother held a phone over the piano as Levi played for a professor at Vanderbilt’s Blair School Of Music. A freshman in high school, Levi was given a full scholarship to study piano and composition at Vanderbilt University under a special pre-college program. Upon graduating high school, his credits were transferred to Belmont University where he studied music business. Kreis recorded his first album at 12 years old and began a life of touring. As a young songwriter, Levi had his first Top 10 hit with “Timeless” recorded by the Christian group Selah. Kreis confesses that, to him, songwriting is therapy. Consequently, his lyrics give remarkable insight to the complexities of life and reveal profound emotional intelligence, a distinguishing quality you can expect from all of Levi’s work.